Roy Williams’ police drama Wildefire is blazing editorial in Maria Aberg’s operatic Hampstead production, but individuals are lost in the smoke. 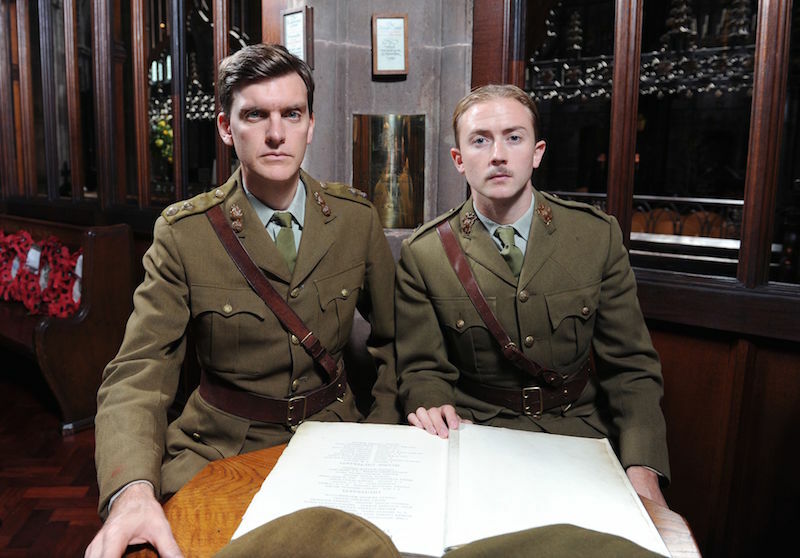 Stephen MacDonald’s Not About Heroes at Trafalgar Studios is a safe frame for searing First World War poetry, but doesn’t match its creative audacity. 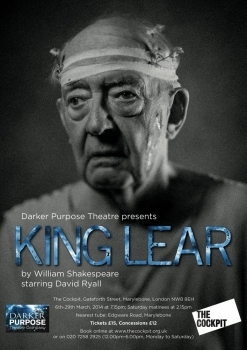 Pat Barker’s Regeneration is effectively if conventionally translated to the Richmond stage via Nicholas Wright’s adaptation and Simon Godwin’s economical production. 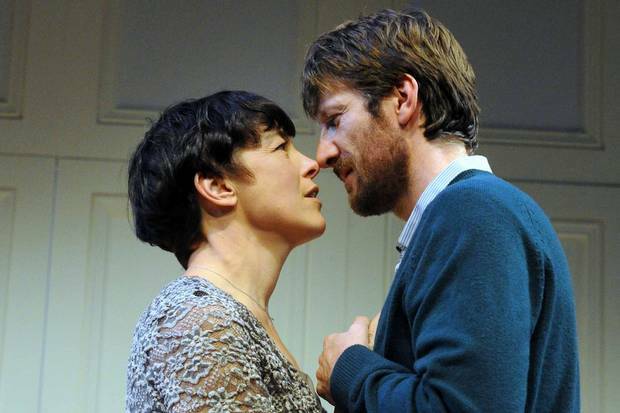 Paul Miller’s opening season at the Orange Tree gets a boost from Deborah Bruce’s empathetic gem The Distance. 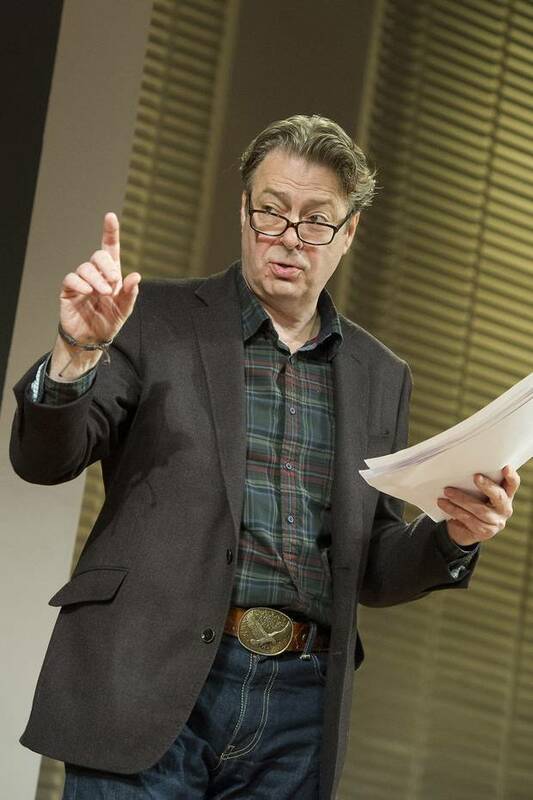 Roger Allam relishes his monstrous writing teacher, but Theresa Rebeck’s industry satire Seminar at Hampstead Theatre offers terribly anaemic drama. 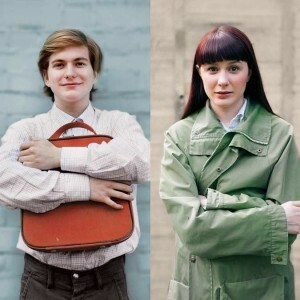 Richard Gober’s revival of his 1992 work April in Paris at Richmond Theatre is a curiously inert theatrical time capsule. 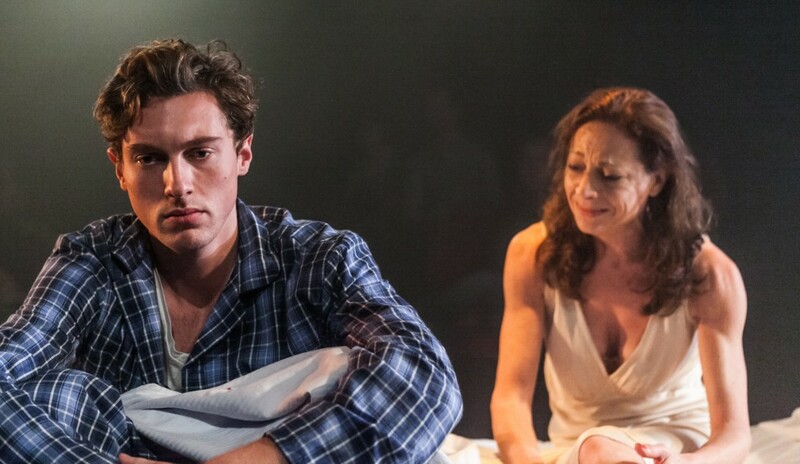 Tony Kushner’s depiction of elegant inaction in A Bright Room Called Day at Southwark Playhouse makes for exceedingly wearisome drama. 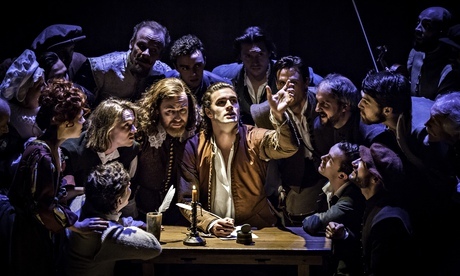 Lee Hall and Declan Donnellan’s stage version of Shakespeare in Love retains the film’s screwball charm while smartly upping the meta-theatricality. 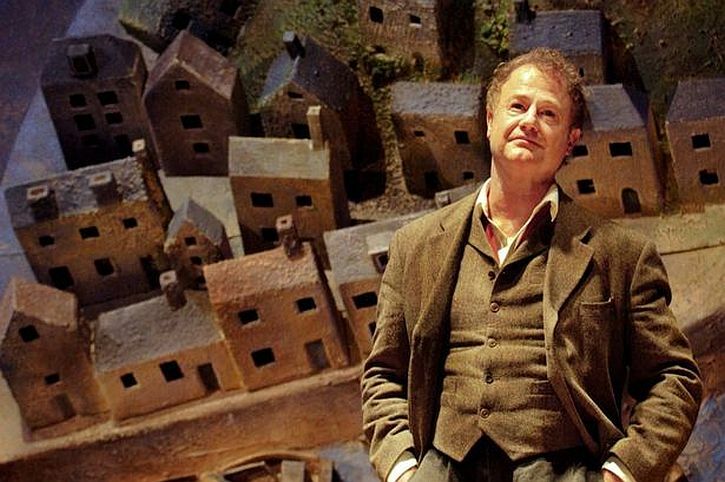 Terry Hands and Clwyd Theatr Cymru produce an affectionate if flawed version of Dylan Thomas‘s profoundly musical Under Milk Wood at Richmond Theatre. 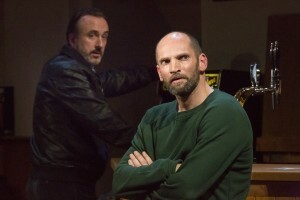 Owen McCafferty’s spellbinding Quietly at Soho Theatre, a study of violence, truth and forgiveness, has gained extra resonance since its Dublin premiere. 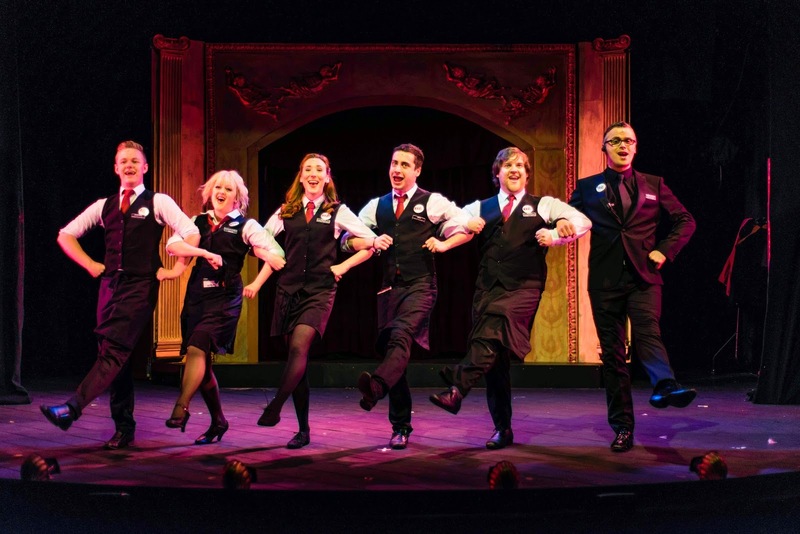 Ushers: The Front of House Musical at Charing Cross Theatre is an in-jokey romp, and, in its tale of thwarted ambition, occasionally offers something deeper. David Shire and Richard Maltby, Jr’s wry, witty Closer Than Ever at Jermyn Street Theatre is a masterclass in storytelling through music. but guarantees a good time. 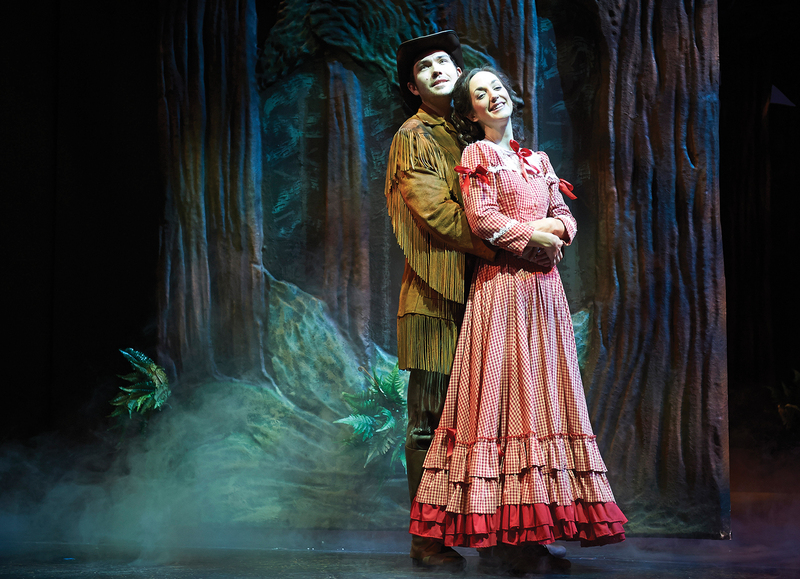 The dilemma of Seven Brides for Seven Brothers at Richmond Theatre: horrifying, anachronistic gender politics, but brilliantly fearless dancing. 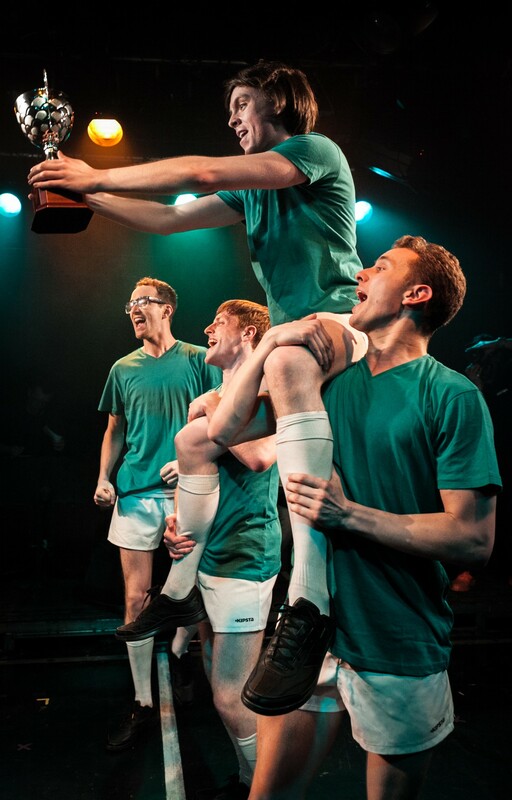 Andrew Lloyd Webber and Ben Elton’s problematic 2000 musical The Beautiful Game gets a spirited revival at the Union Theatre. 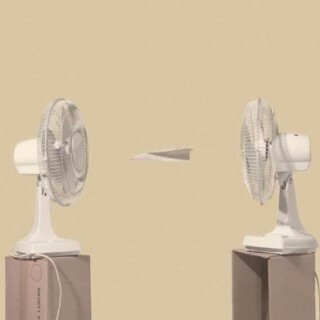 of cohesive vision, offers nothing new. act – and an unexpected knockout. 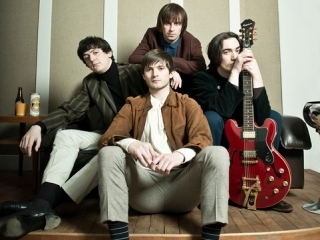 Running on Empty at the Soho Theatre explores unconscious states through drama, dance and music, but lacks the focus to combine its elements into a greater whole. 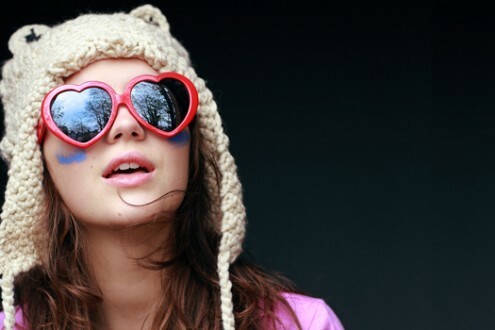 – a refreshing rejoinder to this season of boisterous cheer. The theatrical adaptation of Patricia Highsmith’s Strangers on a Train is engrossing, but, in an overwhelming production, takes its ‘noir’ brief too literally. Polly Stenham’s That Face, which exploded onto the Royal Court stage in 2007,gets a strong revival at the Landor Theatre. 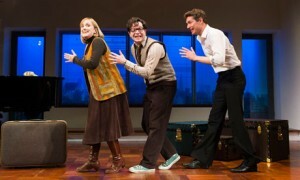 Katie Hims’ intelligent, refreshingly witty Billy the Girl at the Soho is a strong addition to Clean Break‘s repertoire. 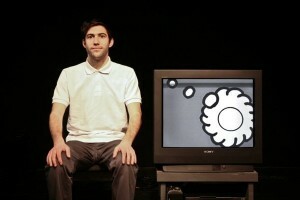 Thomas Eccleshare’s Perle, a contemporary meditation on grief playing at the Soho Theatre, is a multimedia theatrical gem. 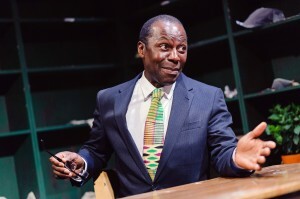 Anders Lustgarten’s intriguing Black Jesus, premiering at the Finborough, ultimately prioritises political polemic over drama. 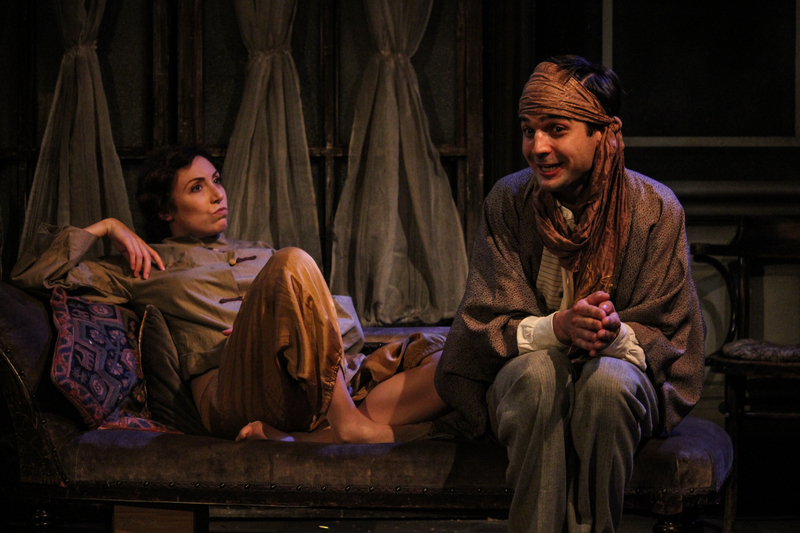 Scenes from a Marriage, a theatrical updating of Bergman’s 1973 classic, has lost none of its power to discomfit, despite a flawed production at St James Theatre. 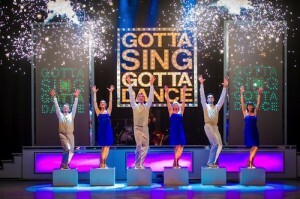 Gotta Sing Gotta Dance at Richmond Theatre is a smart, feel-good compilation show and musical-theatre-geek heaven. Colleen Murphy‘s Armstrong’s War at the Finborough is a smart, witty examination of Canada’s role in Afghanistan and the healing power of storytelling. The musical version of Dirty Dancing is a faithful re-creation of the endearingly cheesy movie, but lacks theatrical flair. 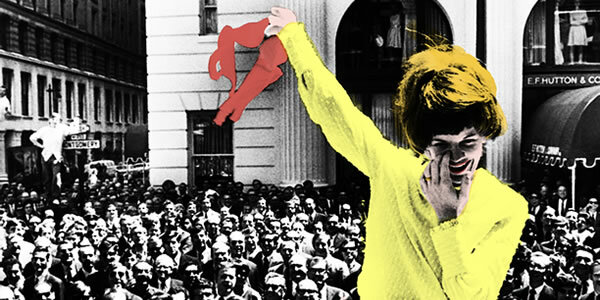 The Finborough’s welcome revival of Pam Gems’ feminist classic Dusa, Fish, Stas and Vi adds a brilliantly human dimension to the debate. 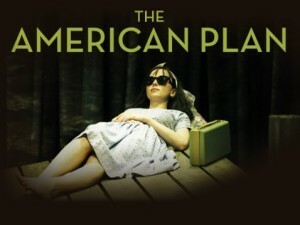 Richard Greenberg’s The American Plan offers a caustic dissection of 1960s social mores in a strong revival at St James Theatre. 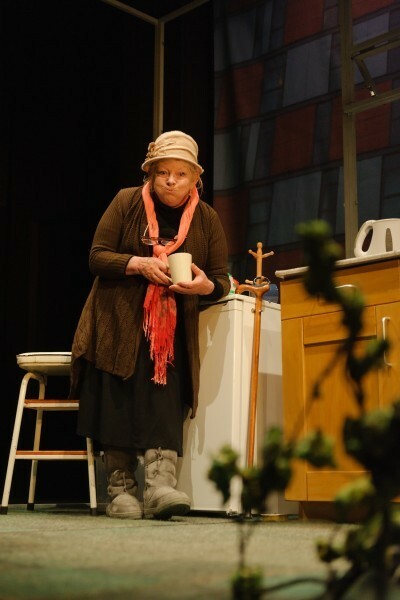 In her début play Responsible Other at the Hampstead, Melanie Spencer sidesteps cliché in delivering a witty, skilful examination of serious illness. 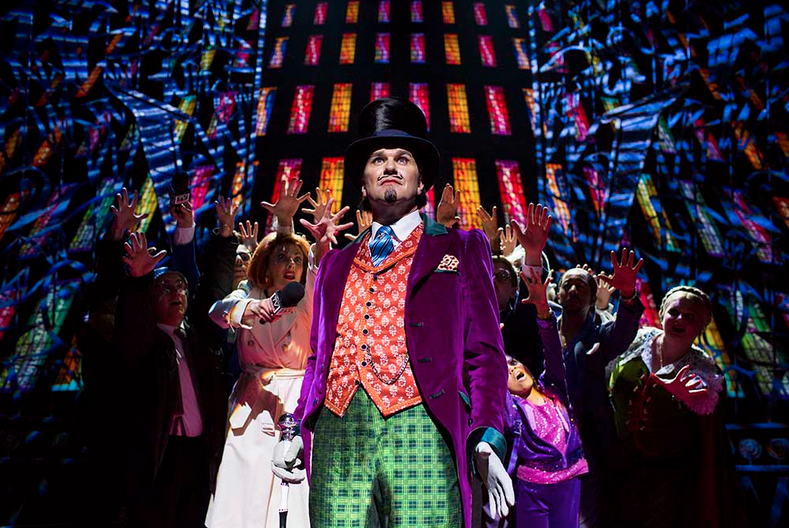 A new musical version of Charlie and the Chocolate Factory fails to capture the deliciously dark spirit of Dahl’s work. 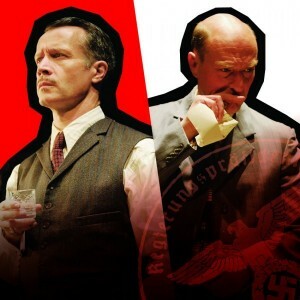 An adaptation of 1938 novella Address Unknown at Soho Theatre offers a compelling indictment of extremism. 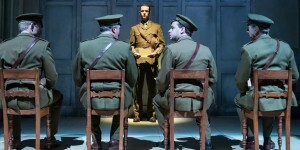 Northern Stage deliver a searing study of power dynamics at Richmond Theatre with Dennis Potter’s Blue Remembered Hills. 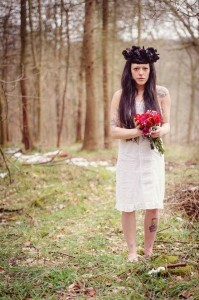 An uneven production of Blood Wedding at the Waterloo East struggles to deliver Lorca’s dramatic intent. 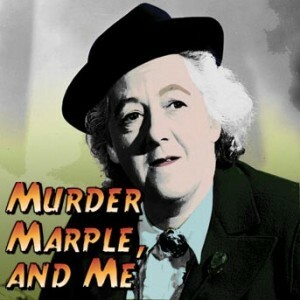 The acerbic wit and thrilling twists of one-woman show Murder, Marple and Me at the Ambassadors do justice to the Queen of Crime. 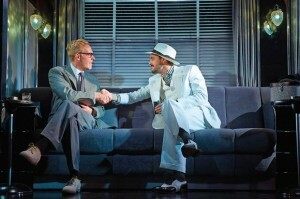 Maria Friedman’s revival of Sondheim‘s Merrily We Roll Along at the Harold Pinter Theatre reclaims the soul of the work. Brad Birch’s cumbersomely titled Even Stillness Breathes Softly Against a Brick Wall at the Soho Theatre is a gripping portrait of 21st-century crisis. 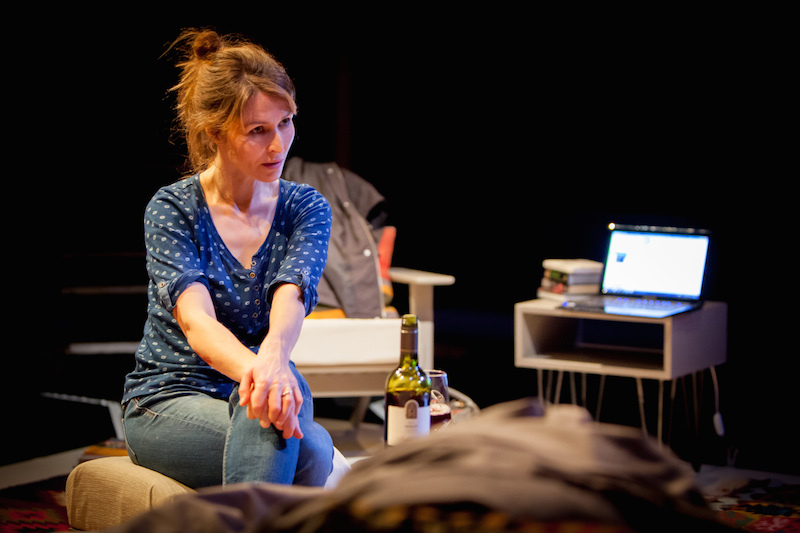 Hannah Patterson’s ambitious Playing With Grown-Ups at Theatre503 has an original take on parenthood and sexual politics, but suffers from lack of focus. 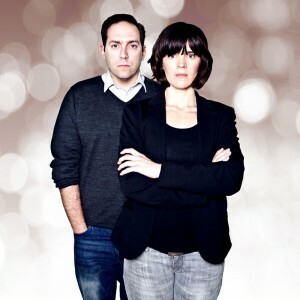 Thomas Eccleshare’s Verity Bargate Award-winning Pastoral brings an effective blend of black comedy and eco-horror to the Soho Theatre. 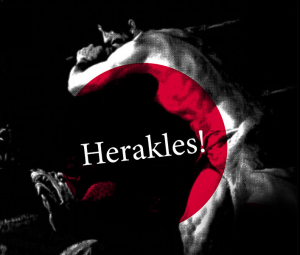 Baffling soundscape Herakles! 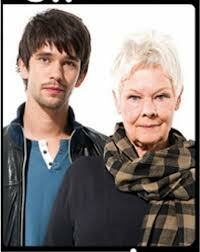 at The Actors’ Church can’t find a satisfying execution for its ambitious ideas. Jo Caulfield‘s supremely confident Soho Theatre set proves she isn’t just flying the flag for female comedy, but for great comedy. 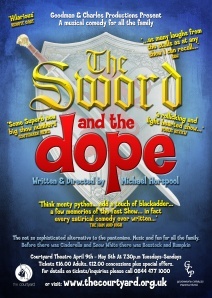 New musical The Sword and the Dope at The Courtyard Theatre doesn’t bring enough new material to the (round) table, but makes for a genial evening. 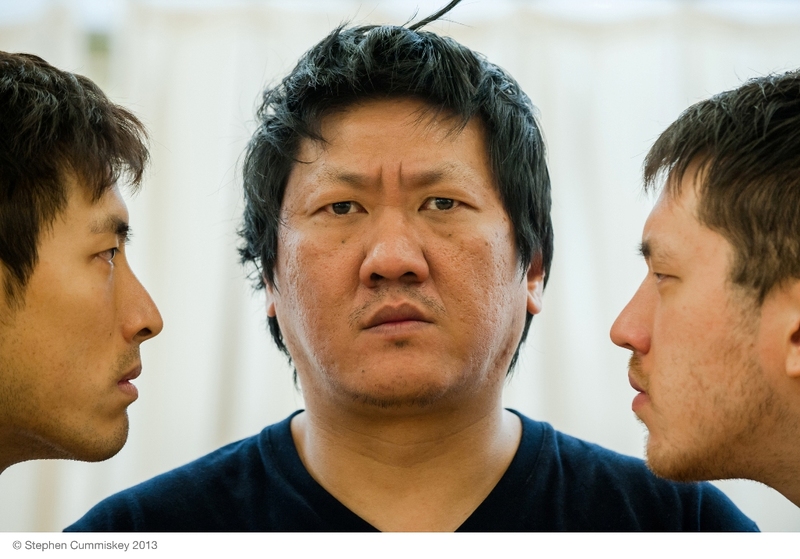 Howard Brenton’s politically charged The Arrest of Ai Weiwei at the Hampstead gains an extra dimension from its democratic global live stream. 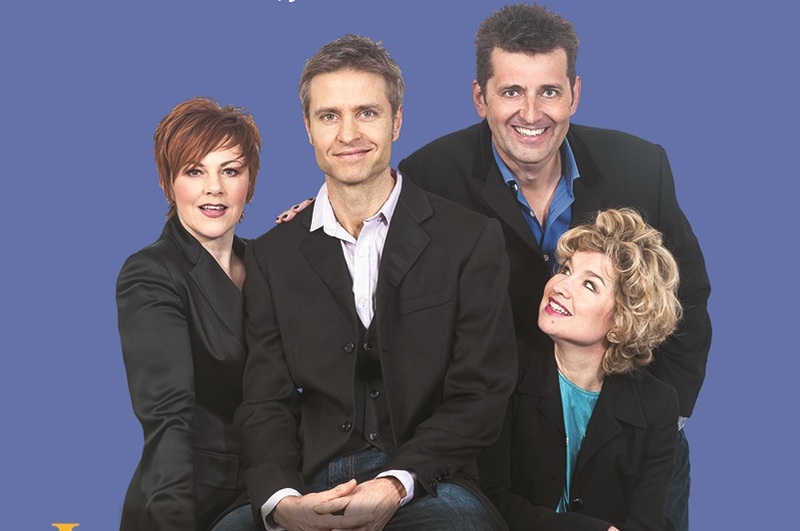 The eager imitation of every dramatic style known to man can’t salvage the bewildering Between Ten and Six at the Leicester Square Theatre. 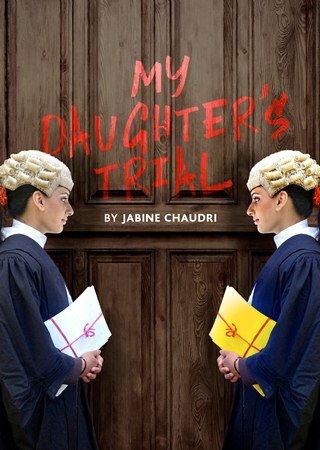 Jabine Chaudri’s site-specific My Daughter’s Trial, relocated from the Soho Theatre to Browns Courtrooms, doesn’t quite do its riveting subject matter justice. 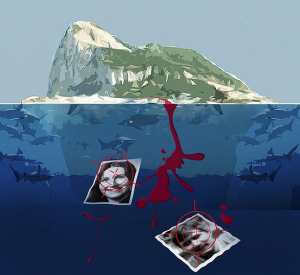 The Arcola Theatre‘s oddly topical Gibraltar strives for journalistic “truth”, but falls short of theatrical success. John Logan’s Peter and Alice at the Noel Coward Theatre is a powerfully elegiac addition to Michael Grandage’s varied West End Season. 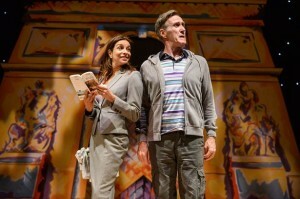 The Hampstead Theatre continues its dream run with Hello/Goodbye, Peter Souter’s confident debut and another downstairs sensation.